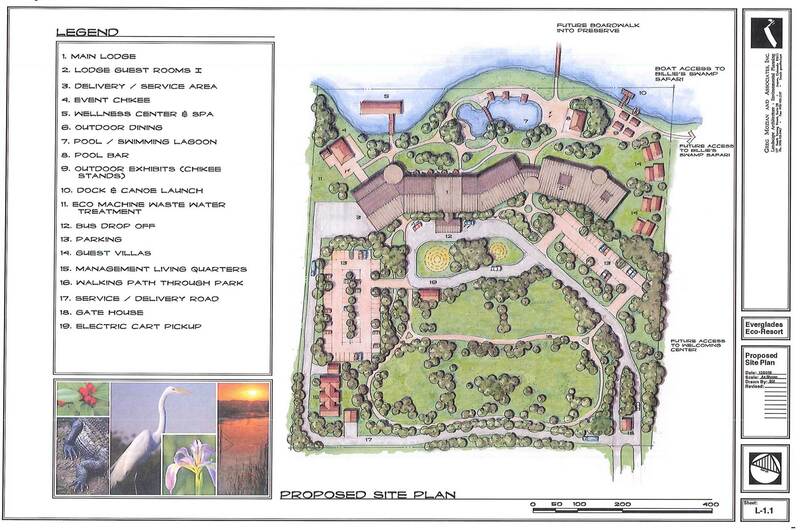 Big Cypress Hotel and Resort, Seminole Reservation, Florida. 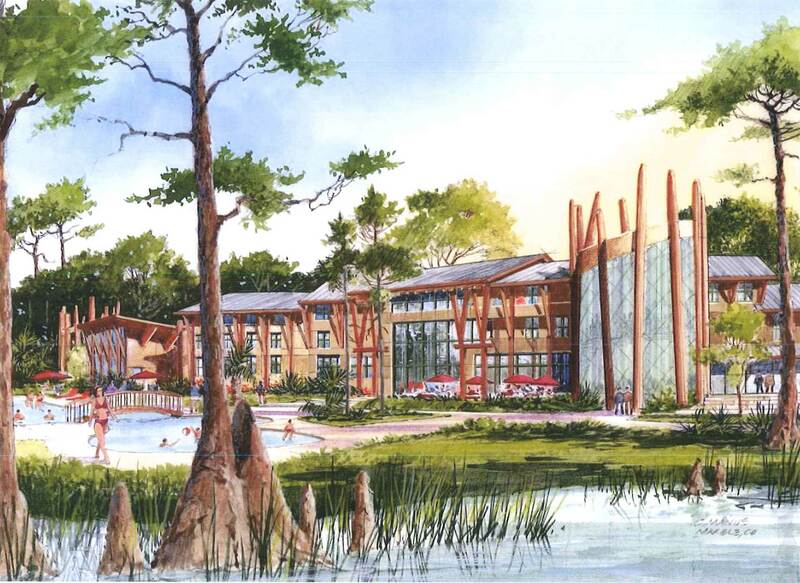 The design of the hotel draws on the graphics used in the patchwork designs for Seminole clothing. These graphic symbols were hieroglyphs for totems of the various tribes and are used to create motifs of the timber and concrete structure. The hotel uses a series of forms based on the cypress dome that provides atrium spaces that organizes the circulation of the project.